This page is about us.We are a group of enthusiasts who share an interest in all aspects of sewing and textiles. We arrange a varied programme each year and try to cater for all tastes and levels of ability. We meet on the 3rd Saturday of each month either for a workshop or talk. We also have Bring & Stitch sessions. Our meetings are held in All Hallows Centre, Greenhill Road, Mossley Hill L18 6JJ. Workshops 10-4pm, Bring & Stitch 11am-1pm, Talks 2-4pm. 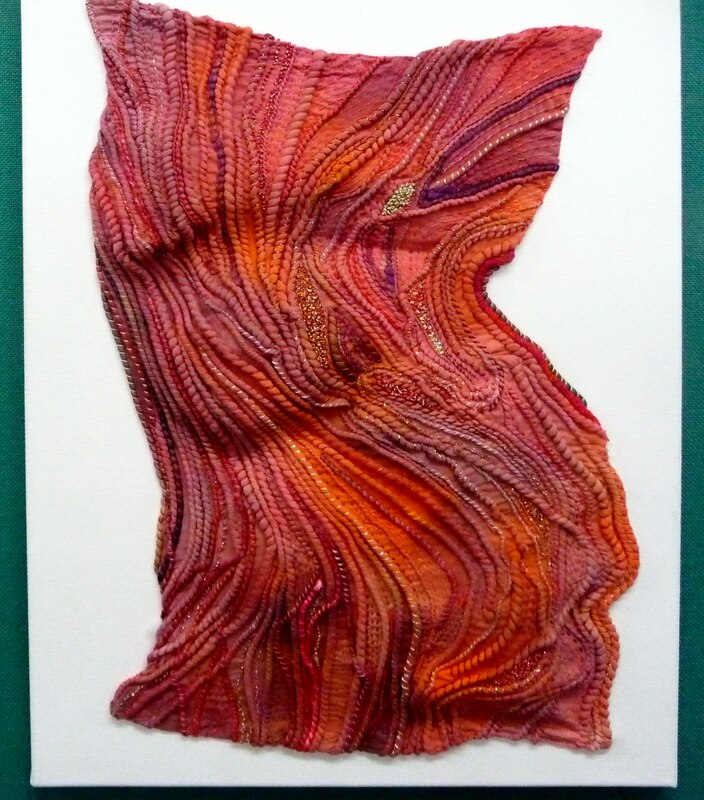 We enjoy visits to national textile collections, and shows such as Knitting and Stitching Show in Harrogate. 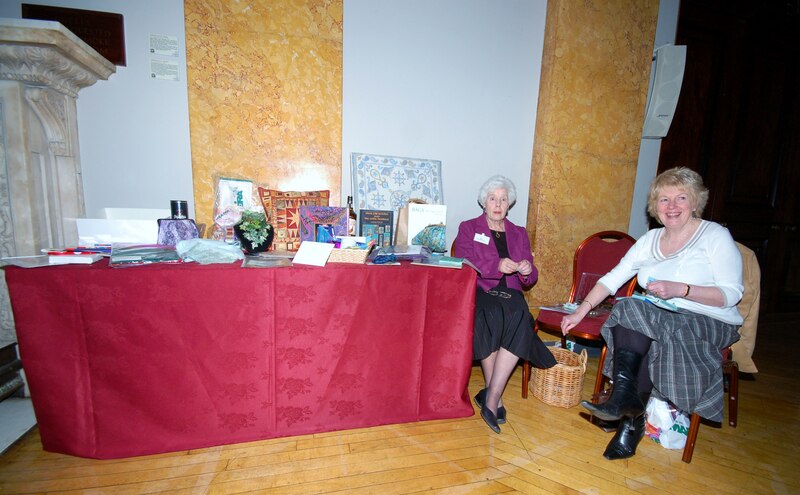 We have summer and Christmas tea parties with traders, stalls, members’ work and displays of interesting textile items. We exhibit regularly in local galleries and other venues such as Liverpool Town Hall, St George’s Hall, Victoria Gallery , Liverpool Anglican Cathedral and Sefton Palm House. We have a thriving Young Embroiderers’ group which meets on the 2nd Saturday of each month at the Liverpool Women’s Hospital. Y.E. members also accept commissions, exhibit work and are successful at winning individual and group competitions. We are just one branch of a national network of embroiderers’ with Embroiderers’ Guild HQ at Bucks County Museum, Buckinghamshire. The Guild works to promote and safe guard our national heritage of embroidery and has charitable status. I have been passed a copy of your poster for the coach trip to the NEC on 16 March. 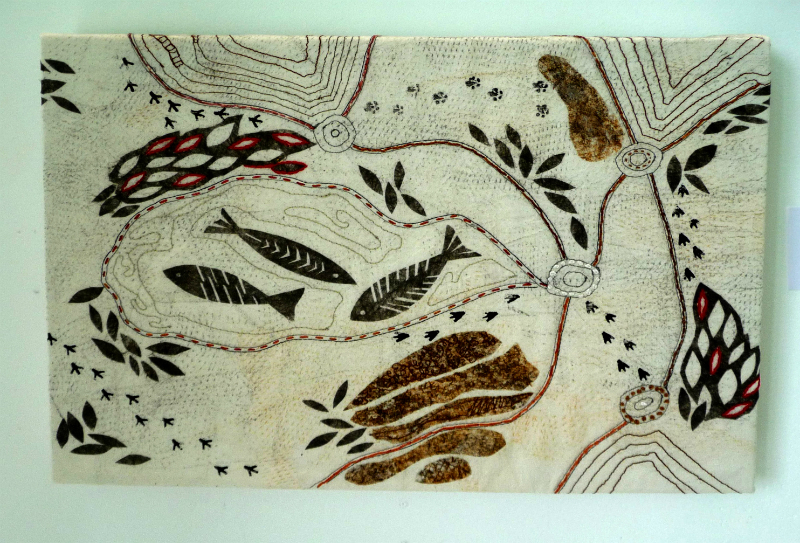 I am a member of the All Hallows Patchwork Group and have emailed it to our members. Can you let me know who we should contact if we wish to purchase tickets? THANK YOU ALL AT EMBROIDERY GUILD FOR A WONDERFUL YEAR OF FRIENDSHIP AND LEARNING .SPECIAL THANK YOU TO ALL COMMITTEE MEMBERS AND PEOPLE WHO HELPED BEHIND THE SCENES . Hello Olive, Thank you for your kind wishes and Happy New Year to you! This entailed our usual friendly chatter and sewing ,lots to see and talk about . After lunch we had an amazing afternoon with a guest speaker ,Rachel Howard . It was a brilliant day . My thanks to the commitee and everyone concerned with the event . Well it has been over 6months now since I joined the guild. Exciting programme to look forward too in 2016. Lovely lively pictures of Saturday; amazing that we all completed one flower, even me with a duff machine! i am very interested in embroidery and have been looking everywhere on the internet to learn embroidery. 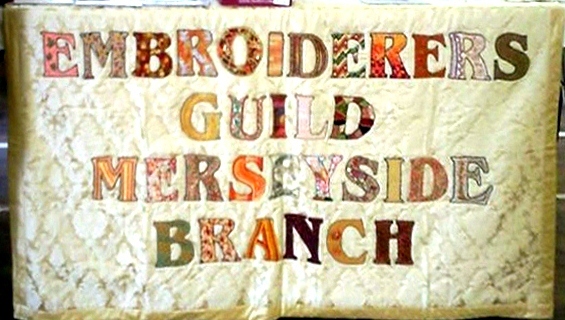 i am 52yrs of age and would like to learn how to embroider, if possible could you email me with more information about your groups and how to become a member. i would be so grateful to you if you could . yours sincerly j gillings. Lovely to be reminded of 2008 and all the work that went into that event making the day so special for Merseyside. Thanks for putting up the report. I’ve just read the latest account of Ruby’s charity; wonderful to hear about. The ladies in Bangledash fulfilled a special order for me this Christmas, a waistcoat embroidered with large and small hippos. These animals are a favourite of my daughter’s but the ladies had no knowledge of such beasts. Ruby took a drawing I found when she went out last October and the waistcoat was here well in time for present giving. My daughter loved it and was very touched by the care taken with the work. Thank you Ruby and all your ladies. The YE piece looks very exciting, so many different methods and media. Can’t wait to see the finished picture. Will there be monsters? You will have to wait and see the progression over the next two months. Great to see the link to Empress Mills. More of a similar nature please. So much easier to shop until my finger drops! Loving the new website. Fantastic to be able to see the incredible detail in the photos. Really shows off the amazing talent within the group. Great layouts easy to find your way around. Well done!